Stickers: A Mobile Messaging Lingua Franca or a Powerful Marketing Tool? Mobile app fatigue is almost here. That’s why brands now have to come up with more inventive ways to interact with their customers on mobile. “But what, if not mobile apps, can help me to establish my presence on mobile platforms?” a stunned brand may ask. Well, let’s think more broadly and consider messaging apps and the opportunities they provide. “The messaging era is definitely now! It the one thing people do more than everything else on their phones...” That’s actually what Mark Zuckerberg said at Facebook’s public Q&A session in November 2014. Since 2014, Facebook’s leader has been demonstrating that he’s dead serious about his intention to grow and develop the messaging field. That same year, the company acquired WhatsApp for $19 billion; then, in 2017, its Messenger surpassed 1.2 billion monthly active users. According to The Economist, almost a quarter of all downloaded apps are neglected after they’re used once or twice. 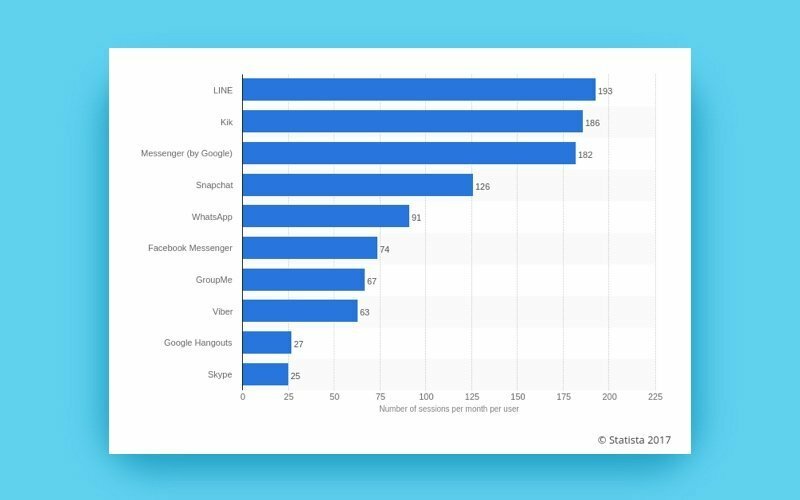 However, the situation is different for instant messengers: to date, over 2.5 billion people have at least one messaging app installed on their devices. The Economist forecasts that this number may reach the 3.6 billion mark in a couple of years, which represents about half of humanity. The popular publication also claims that current teenagers (the so-called Gen Z) spend more time on smartphones sending instant messages than they do hanging out on social networks. WhatsApp users, for example, spend nearly 200 minutes each week using the service. No wonder Facebook is making such big bets on messaging. In fact, private messaging is already dominating sharing. According to Buffer, almost 70 percent of all referrals now come from so-called “dark social,” which includes emails, private browsing, and, of course, messaging apps. 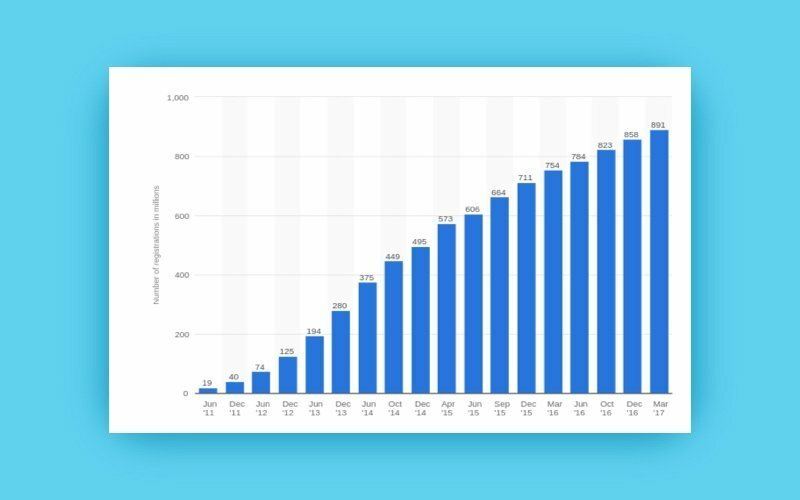 In addition to overtaking social sharing, messaging is now surpassing social networks in terms of monthly active users as well, Business Insider reports. People’s weak interest towards social sharing poses a difficult dilemma for brands: how can they become part of these one-to-one conversations and interact with their audiences in engaging, exciting, and effective ways? We believe that chatbots and emoticons – the two regulars of messaging apps – may eventually become the two main mediums that businesses can use to reach their audiences on mobile. 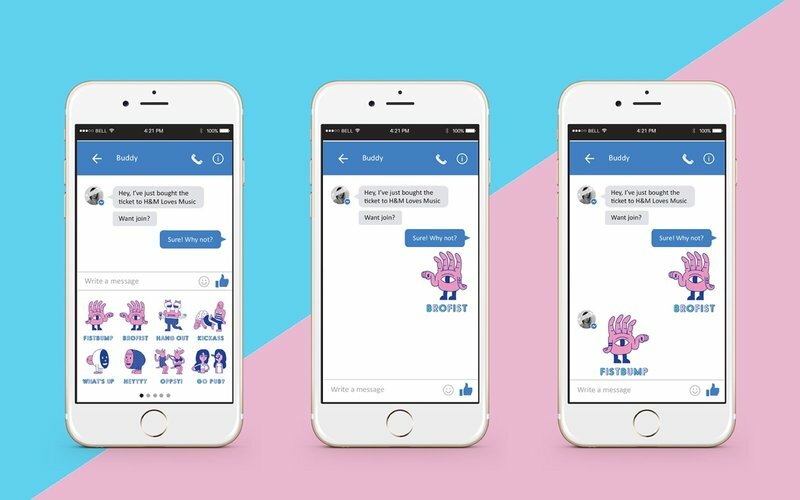 In this article, we’re putting chatbots aside to talk about emoticons – emojis and stickers – and how they’re altering the way brands communicate with their audiences. A tough question: Emoji keyboards or stickers? 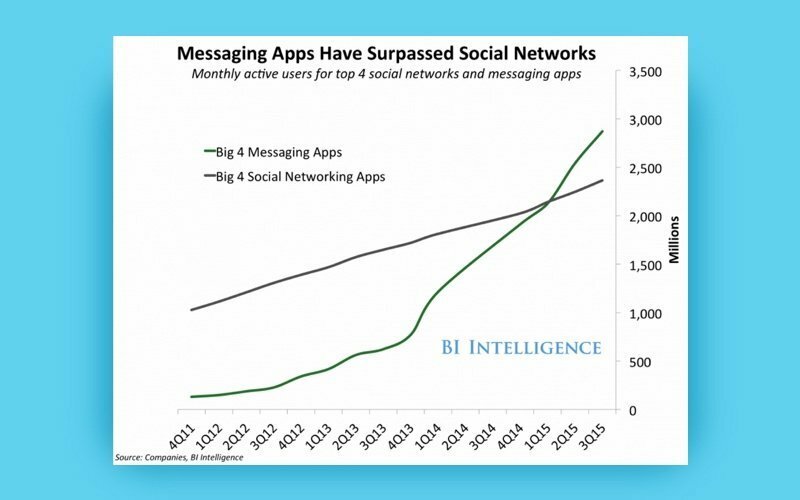 Messaging is getting bigger; it’s a fact. But chatting with text alone can be really hard (if not boring) for most people. That’s where emojis join the game. We use emojis to share our emotions and add some subtext and flavor to the messages we want to convey. However, it’s turned out recently that emojis are not only a mobile messaging lingua franca, but also a powerful tool for marketers to speak to their audiences in a more natural and engaging way. 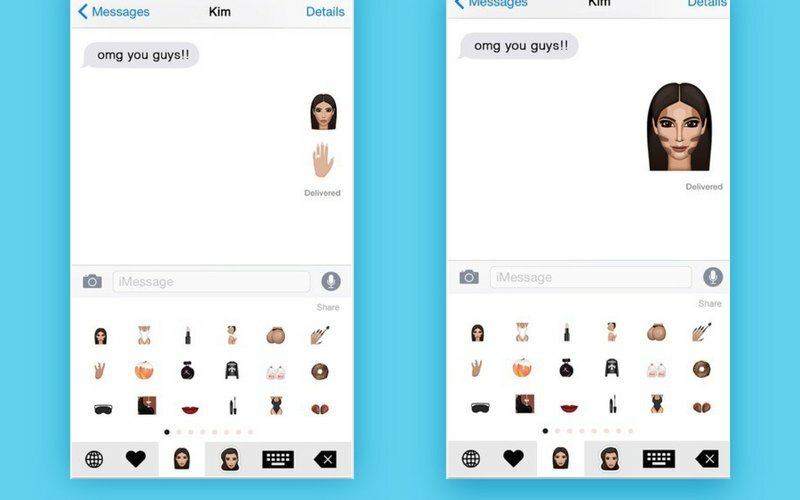 Brands now have the opportunity to join the dialog with keyboard apps and sticker packs. But here comes a tough question: what should a brand choose – an emoji keyboard or a sticker pack? Let us explain our perspective on this matter. To be honest, branded keyboards are nothing new. The rush for emoji keyboards began several years ago when marketers started noticing users swarming to chat apps like Messenger, Kik, LINE, WhatsApp, and others; these marketers noticed new opportunities for business. So brands just started spawning keyboards vigorously. In 2015, at least 250 brands – including Chick-fil-A, Dove, DC Comics, and Skittles – created branded emoji keyboards, proudly trumpeting their releases. Recently, however, brands and companies – such as H&M, Amazon, Disney, Giphy, and even NBC – have been slowly moving from emoji keyboards to branded stickers for messengers. But why stickers? First of all, stickers are more personalized. They allow companies to showcase their brands in a much better way – by creating animated stickers, for example. Second, stickers are more accessible than keyboard apps. To get a branded emoji keyboard, users have to download a standalone application, which itself is a barrier (never mind the fact that these steal more space from your device’s storage). Stickers typically reside inside a messaging app. Most chat apps have special sticker stores with hundreds of different stickers, which makes the process of finding emoticons easier. Engagement with sticker packs is very impressive as well. According to Bare Tree Media (a digital stickers company), users spend on average 3.5 minutes per messaging session playing around with mobile stickers. Here comes another reasonable question: which platform should a brand choose to launch its first sticker campaign? Having analyzed a number of existing mobile messaging apps, we’ve come up with a list of messaging platforms that are open for businesses that want to broadcast their advertising messages using the power of sponsored stickers. Available worldwide, Apple’s native messenger now has around 1 billion monthly active users. In late 2016, Apple launched its iMessage App Store, presenting it as a new way for developers to get users and make money. 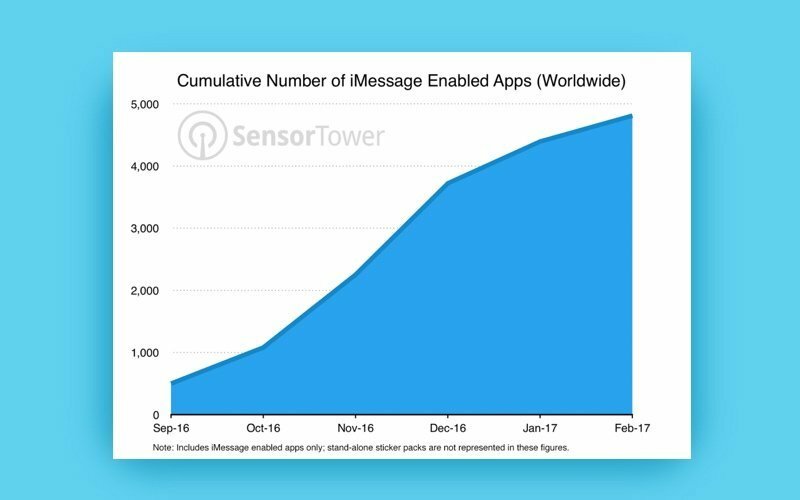 As of January 2017, iMessage had about 5,000 mini apps residing in its internal App Store, according to intelligence firm Sensor Tower. Unsurprisingly, stickers are the most popular app category on the iMessage App Store. When it comes to non-sticker apps, TechCrunch says that games are the most popular iMessage app category, far ahead of entertainment, utilities, social networking, and photo and video apps. As of February 2016, 944 out of 1,251 sticker packs were premium (paid) downloads, while 307 were free. The majority (86%) were $0.99, while some were $1.99 (12%), and fewer still were priced higher at $2.99 (1%). The most expensive pack – and there’s just one at this price point – was priced at $3.99. Just as with standard App Store apps, the new iMessage app platform has its own guidelines for developing and submitting sticker apps. Kik Messenger, or simply Kik, is yet another chat app from the Canadian company Kik Interactive. As of the end of 2016, Kik had around 300 million registered users. Having an average of 186 sessions per user per month, Kik was called the second-most popular application in the US in February 2017 by Statista. The Kik app provides a number of chat features, including live typing, Kik code scanning, video chat, and multimedia messaging with GIFs, videos, and of course digital stickers. In 2013, IPG Media Lab launched a sticker campaign featuring the UK boyband One Direction in collaboration with Kik and Syco/Columbia Records, the main purpose of which was to increase the popularity of both the app and the band. In May 2017, Kik declared its intention to launch a cryptocurrency called Kin that’s meant to become the supplementary currency to pay for goods and services provided by the app, including bots and stickers. A Japanese chat app mostly used in Asia, LINE was actually the first service that incorporated stickers into its mobile messaging app and made them rise in Japan. LINE holds the eighth position among the world’s most popular messaging apps. In January 2017, it was reported by Statista that around 217 million users were accessing the LINE messenger app on a monthly basis. For years, LINE has been pouring huge money into transforming its messaging app into an almighty platform , equipping it with a number of features like grocery deliveries, taxi calling, and even indoor mapping. This strategy – very similar to the one taken by other messaging apps like WeChat, KakaoTalk and, more recently, Facebook Messenger – is meant to keep users engaged with a messaging app even as we enter the era of mobile app fatigue. The LINE messaging app’s main source of revenue, however, is still games and sticker packs. Its Creators Market, which was officially opened in 2015, lets independent designers upload and sell stickers. The LINE’s sticker shop made $75 million during its first year in business. LINE also provides the opportunity for companies to expand their business and increase their brand recognition through the messaging app using LINE’s promotional stickers (or sponsored stickers). These stickers are sold on the LINE Sticker Shop. Brands and companies can also create an official account on the platform to broadcast their content and, thus, to reach a wider range of users. When it comes to designing and uploading stickers, LINE has its own rules and regulations aimed at providing a consistent user experience on the platform. To date, there are over 500 sticker characters residing in LINE’s sticker store. One of those characters is a cartoonish clone of a former Beatle, Sir Paul McCartney. In 2013, Sir Paul released eight mawkish stickers on LINE, where he had around 10 million followers. Each of McCartney’s little depictions sold for $1.99 a pop. Viber was first developed and released by an Israeli company, Viber Media, in 2010. In February 2014, Rakuten, a Japanese multinational corporation, bought Viber for 900 million US dollars. This buy is thought to be the second-most expensive acquisition of an e-commerce platform to date. In its report from February 2017, Statista says that the average Viber user in the United States generated 63 monthly usage sessions, placing the chat app among the seven most popular messaging apps in the word. As of March 2017, the messenger had 891 million registered users worldwide. 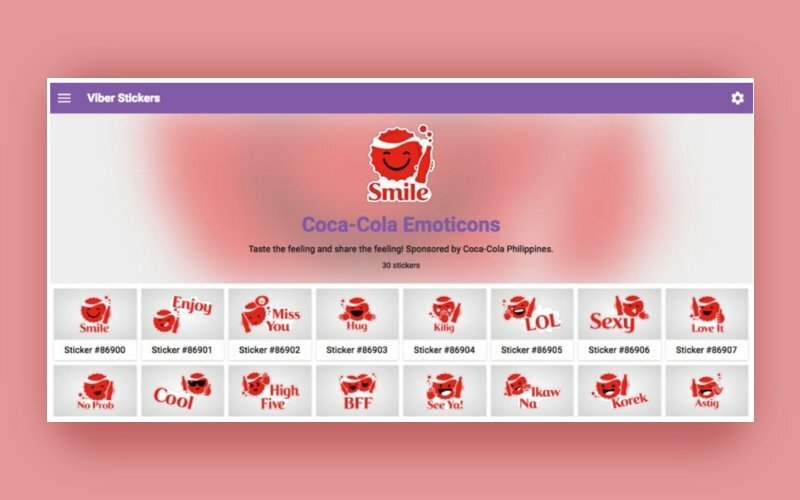 Viber says that its users send around 2 billion stickers per month; and it also claims that almost 400 million of these stickers are sent from Southeast Asia. Among these are stickers from different industries and fields – TV, banking, real estate, food, and other. In 2015, the messenger rolled out stickers for Jollibee, a fast-food chain in the Philippines; the stickers saw 5 million downloads after their release. Jollibee eventually released a sticker pack every quarter in 2016. However, it’s not only Jollibee that enjoys high download rates on Viber; it’s Coca-Cola as well. 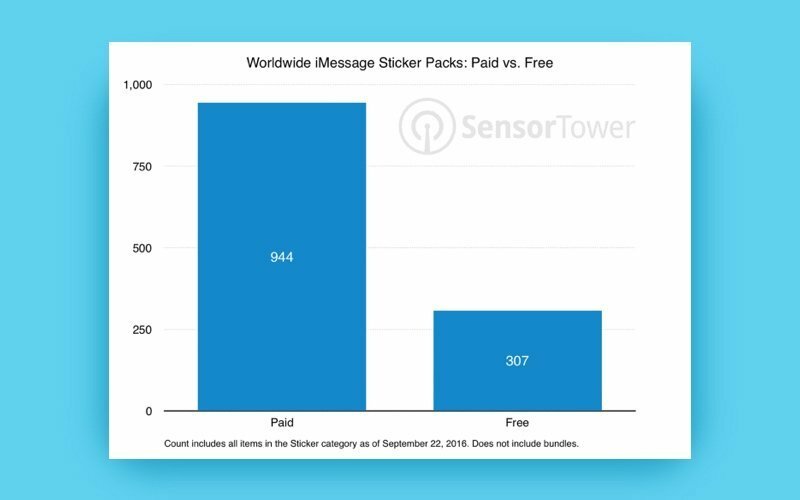 Viber says that usage and number of downloads directly depends on the design and the messages (sticker captions) used by brands. If users are attracted to a sticker design, they’ll grab the stickers. If they find stickers with relevant texts they can send in their threads, they’ll keep using the pack further. The strong design used in combination with captions gets users engaged with a brand’s stickers and may positively affect their perception of the brand. One of the biggest concerns for brands so far is statistics and analytics; that’s why for a brand that wants to start experimenting with branded stickers, we’d advise considering the iMessage platform. Since sticker packs are uploaded to the iMessage App Store as regular iOS apps, developers have access to native features – Apple App Analytics – allowing them to measure their sticker performance: downloads, user demographics, most popular stickers in a pack, and so on. This data can help you understand your audience better to provide an even greater user experience next time you’re planning your soft sell marketing campaign. So, how can we make stickers? Well, next time we’ll certainly consider that.